2 - 7 pm: Cider Day! 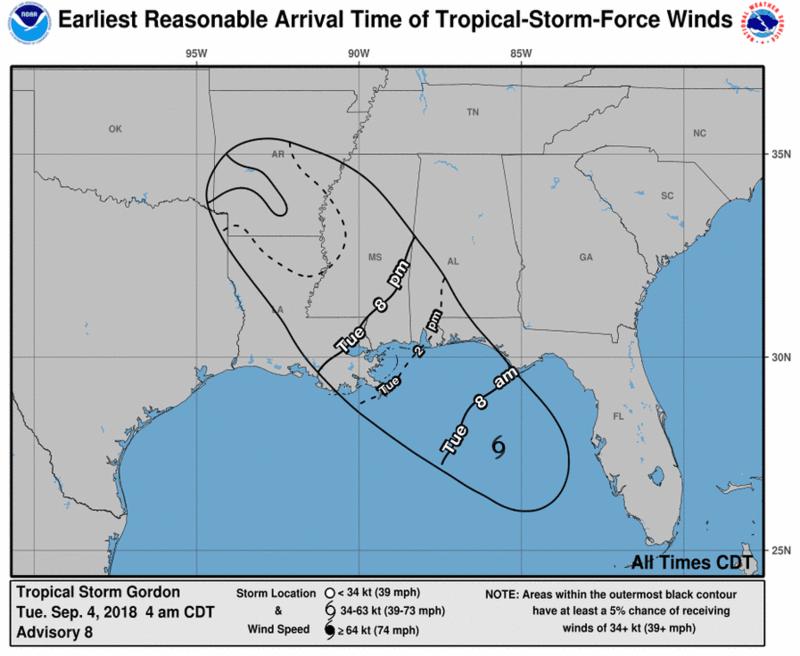 10 ciders on tap, Steel City Jugslammers music @ FH Brewing Co.
As Hurricane Gordon approaches the Gulf Coast today, be sure to complete preparations for storm conditions. 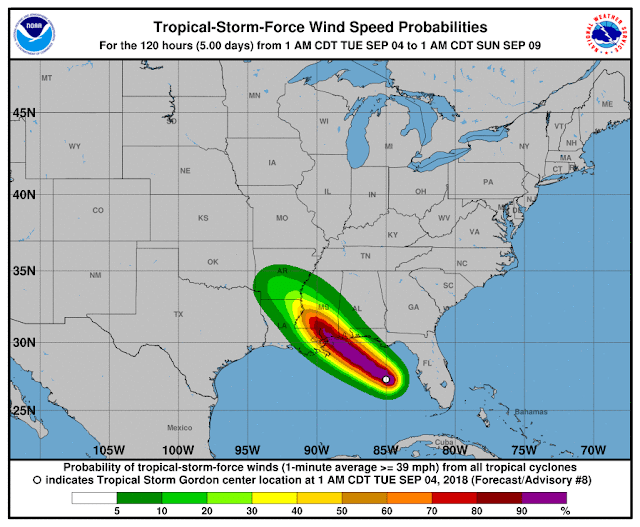 Power and water delivery may be affected for several days following landfall. Below is the anticipated rainfall from Hurricane Gordon. Wind speed probabilities for the areas affected by Hurricane Gordon. 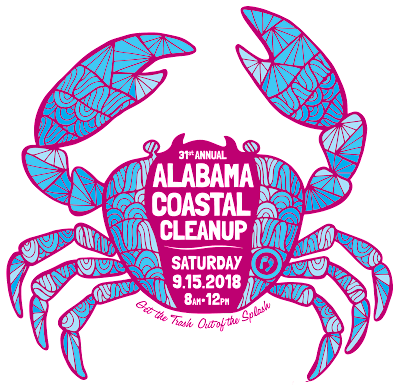 Show your support and concern for Alabama’s waterways by participating in the 31st Annual Alabama Coastal Cleanup scheduled for Saturday, September 15, 2018 from 8:00 a.m. until noon. You or your organization can make a difference by volunteering to clean up our cherished coastal area. The Alabama Coastal Cleanup engages local citizens to remove trash and debris and to change the behaviors that cause pollution. In a continuing effort to clean up the coast, over 90,000 volunteers have removed 800 tons of trash from Alabama’s valued coastline and waterways over the past thirty years. Join us this year as we continue to make Alabama the Beautiful! On the day of the event, come prepared with sunscreen, a hat, gloves, shoes and lots of water. It gets HOT! 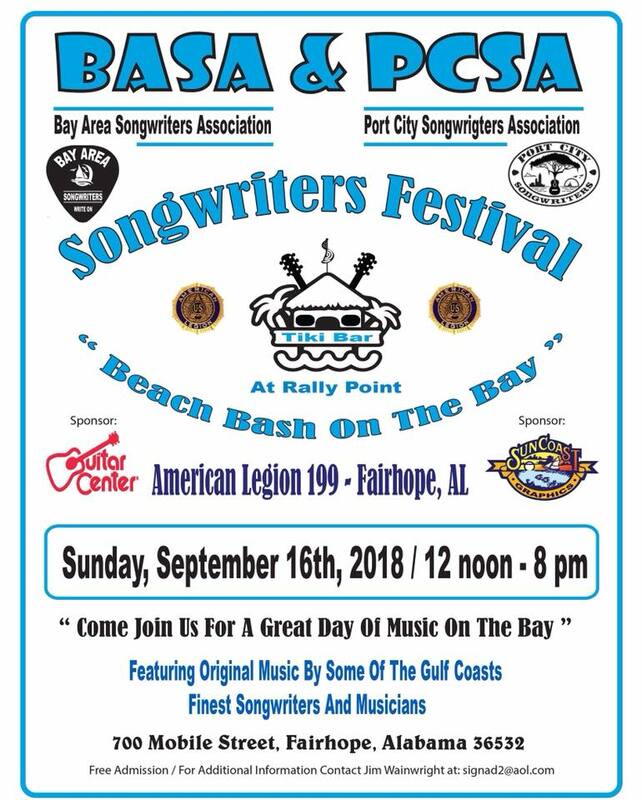 Check in at the Fairhope Pier at 8:00 am. The Mobile–Tensaw River Delta is the largest river delta and wetland in Alabama. It encompasses approximately 260,000 acres in a 40-by-10-mile area and is the second largest delta in the Contiguous United States. It is home to some of the most diverse wildlife in Alabama including 126 species of fish, 46 mammals, 69 reptiles, 30 amphibians and at least 300 species of bird, including more than 110 which nest in the region. Humans inhabited the delta region at least as far back as 5,000 years ago.The last important battle of the American Civil War took place at the fortified town of Blakeley, located on the edge of the delta. A railroad line to connect Montgomery and Mobile, now part of the CSX system, opened across the delta in 1872. In the mid-1920s, the Causeway was built across the lowest part of the delta, connecting the western and eastern shores of Mobile Bay. Later, I-65 and I-10 were constructed to span different parts of the area. 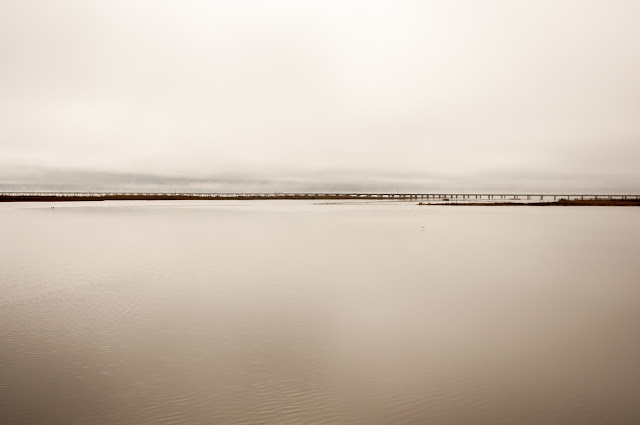 The delta was designated a National Natural Landmark in May 1974. The Bartram Canoe Trail provides a system of waterways by which boaters may explore the delta. Most of the delta is very shallow water. To access these areas airboats, canoes, kayaks, or other small craft are typically used. 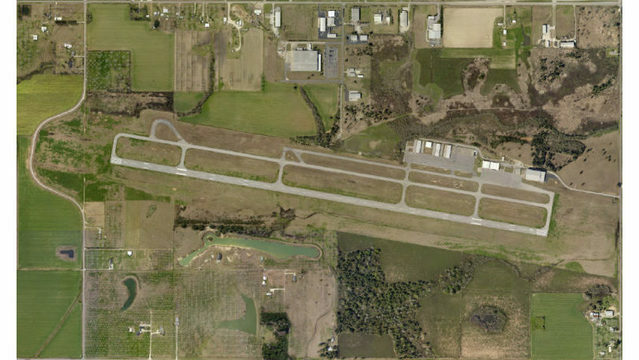 Thanks to the continued hard work of dedicated employees and volunteers on the Fairhope Airport Authority Board, the H. L. Callahan airport will get $3.3 million in grants to add a new taxiway and taxiway access. This will add value and benefit to the other leases the City uses to generate income and go a long way to aid in recruiting new commercial tenants such as those supplying parts and expertise to Airbus in Mobile. The grants are funded through the Airport and Airway Trust Fund and federal appropriations awarded by the Department of Transportation through the Federal Aviation Administration. Are you a Single Tax Leaseholder?